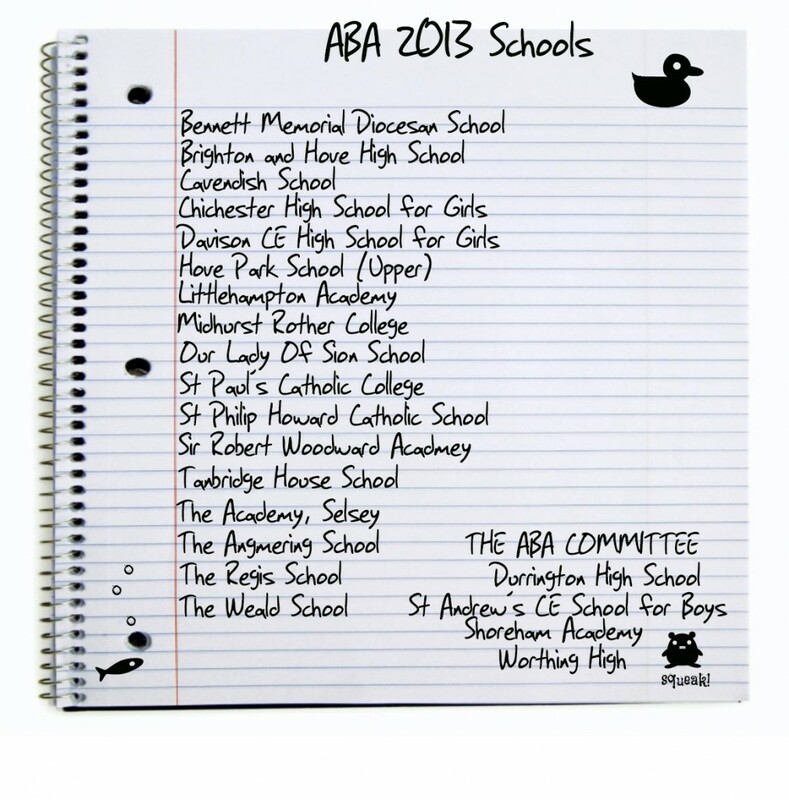 We are very proud to announce the list of wonderful schools that will be joining the ABAs this year. For the first time ever we have 21 schools taking part across the Sussex Coast. How cool is that? Remember to send us your subscription forms ASAP and we’ll send you your welcome pack. Huge thanks to those of you who have already sent these back to us. But don’t worry! It’s not too late to sign-up, you’ve still got time. We’ve extended the subscriptions acceptance window until Monday 8th October. Keep watching this space for lots more information – including the launch of the 2013 Long List. Ooh yeah!